Home warranty included! Gated community living for under $300K with no CDD fees! 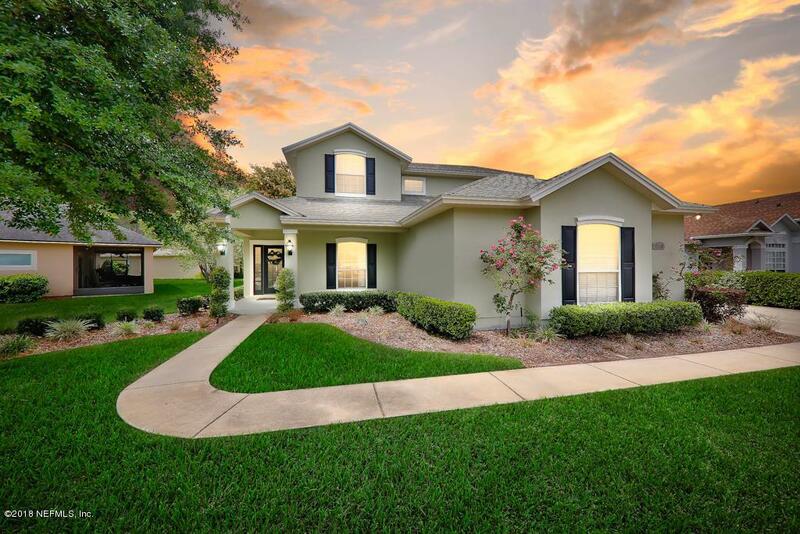 Don't miss out on this opportunity to live in the beautiful gated neighborhood of Cimarone in desirable St. John's County's A rated school zone. Spend the hot Florida summer splashing in the pool of the new amenities center. Enjoy gorgeous sunsets overlooking the water from your backyard. This inviting home features the master bedroom on the first floor with the other three bedrooms upstairs in addition to a loft that can be used as a sitting room, toy room, or second tv room. Ceramic tile and wood floors throughout the main living area and formal dining room. Carpets will be professionally cleaned before closing. You will love the wainscoting in the entry and formal dining room. Schedule your showing today!